Geri, FOF Founder, strengthening her arms. LeMetric joined Fab Over Fifty and their guests at the most intriguing fitness center we have ever attended. 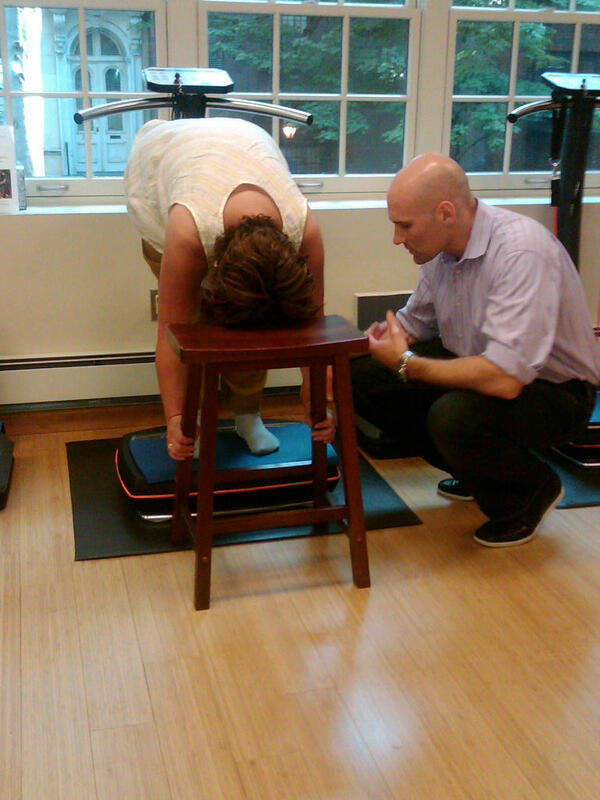 At the Amplitude Vibration studio, we were taught methods of Vibration Training. This is a training method that encompasses both exercise & fitness and health & wellness. Your muscles will be put to work at a 90% rate rather than a normal 50% rate, which is usually the case when lifting weights in the gym!!! We know. You’re thinking, “Imagine that!” Well…no need to imagine. Just visit their studio on the upper east side of Manhattan. Oh and that’s not the best part of it. Sure, we’re all busy bees living or working in the choas of New York, but this workout only takes 18 minutes of your time!!! It’s recommended to attend 3 times a week. That’s 3 full workouts in less than an hour on a journey to transform your body. June 15 – Hair, Beauty, & Fashion Event!